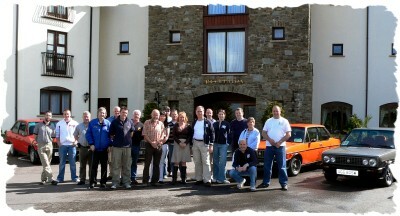 The 3ma is an international meeting of Fiat 131 owners and their cars. The first 3ma took place in Southwest Ireland from Friday 18th to Monday 21st of May 2007. The event, which was kindly supported by Fiat Ireland, consisted of non-competitive driving with routes designed to take in some of the spectacular Atlantic coastline and mountain passes. But it was also a social event with plenty of time allocated for the exchange of stories and experiences about the 131 Mirafiori. As one of the attendees said: "There are no strangers at the 3ma, just 131 friends". The first meeting exceeded the expectations of all present so we decided to make it an annual event and the second 3ma was held in Scotland from Friday 16th May to Monday 19th May 2008. From our chosen base in Inveraray, the Argyll region's former Royal Burgh in Western Scotland, our driving routes stretched to the mountainous Highlands discovering a land of lochs, mountains, history and much more. 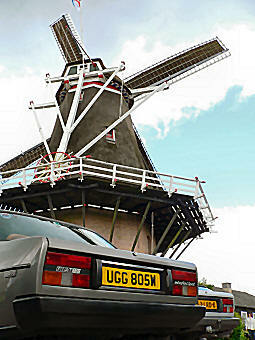 Participating cars came from the UK, Ireland, The Netherlands and Germany. 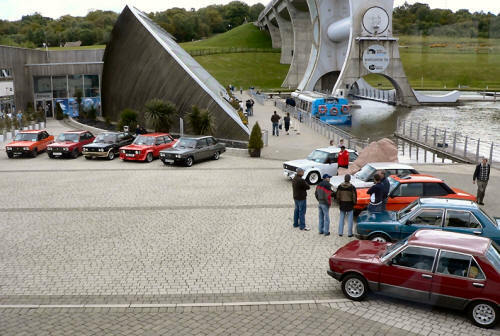 On Sunday 18th May we held a static display show at the Falkirk Wheel where the 131s were lined up at the Wheel's Special Display Quadrant for all the visiting members of the public to enjoy. 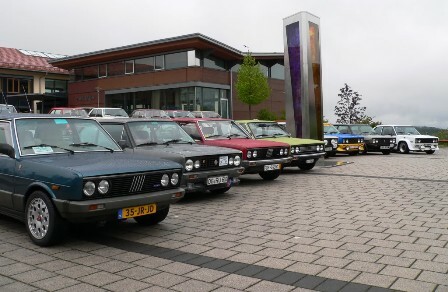 In 2009, 3ma09 was a pilgrimage of 131s to Turin in Italy to celebrate 35 years since the launch of the Fiat 131. There were participants from the UK, Ireland, Germany, The Netherlands, France, Spain and of course Italy. The highlight of the four days of 35th anniversary celebrations was our visit to the Mirafiori factory and guided tour of the production lines as well as three laps of the test track in our own cars. Our Mirafioris were returned to their birthplace! In 2010, 3ma10 was in Germany's Black Forest area. Loßburg, a town in the district of Freudenstadt in Baden-Württemberg in southern Germany was chosen as our base for 3ma10. The 3ma meetings seem to get better with every year and 2010 was no exception. The location was excellent, the organisation by our German members was superb and we even got a civic reception with the city of Loßburg officially welcoming us and thanking us for choosing their city for our event and allowed us to park our 131s outside the town hall for a photo opportunity and never complained about the oil leaks! They even composed a poem for the Fiat 131 Mirafiori! With two of the original three 3ma organisers living in England, it was inevitable that the 3ma would be held there at some time. And so it was in 2011 with 3ma11 based in Kingsteignton, Devon, England. Fourteen 131s were in attendance with the furthest travelled coming all the way from Finland. The meeting took in the sights of Devon, Cornwall and Somerset with the drives over the four days stretching all the way to Land's End and as far as Sparkford near Yeovil. In 2012, 3ma12 was the first 3ma to be have drives in two countries. Based in Bad Bentheim right on the German-Dutch border, two days had drives within Germany and the other two 3ma days had drives within The Netherlands. This was because 3ma12 was co-organised by one of our Dutch and one of our German members. "We want to show the beauty of our home countries" the organisers Albert Brouwer and Heini Nee said. 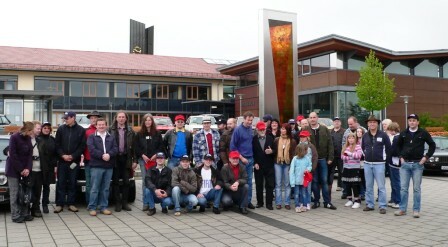 In 2013 we returned to Germany and 3ma13 was based in Miesbach, Bavaria. Once again the 3ma was a two country event with drives in both Bavaria and Austria.